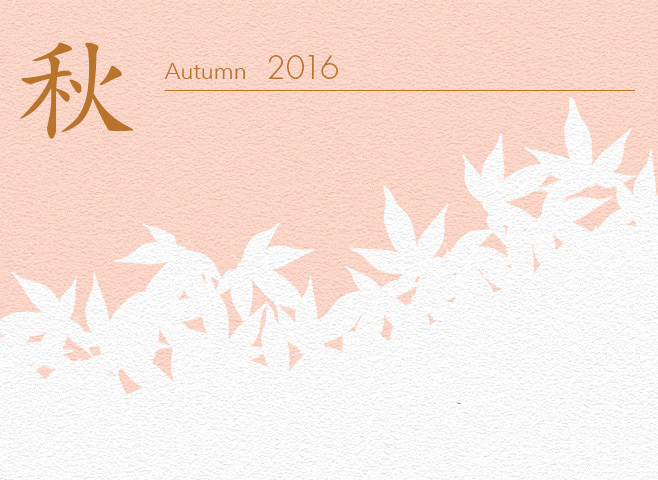 In the Japanese traditional calendar, fall starts from the day of Risshyu (the beginning of Autumn) and ends the day before Ritto (the beginning of Winter). You can rely on the calendar in term of the temperature because the summer heat stays in the early part of fall while you will fee fall has come when refreshing wind starts blowing. Because fall's weather is nice and easy, fall is the season for Japanese to enjoy special events and outdoor activities such as Aki Matsuri (autumn festivals), Shukakusai (thanking God for crops), Moon Festival (enjoying the full moon), Fall-Leaf Viewing, which are called "Hare" culture and summer can't offer much. Those events are important opportunities for us living in the modern time to enjoy our nature. From the beginning of August to the beginning of October is considered Fall of 24th Day. The Beginning of Autumn makes you think it the beginning of fall, but the actual day of Risshyu is usually at the peak of the hottest summer period. Fall is also considered as the season for good appetites because plenty of delicious ingredients can be cropped and captured in fall as well as spring. Many of juicy fruits, a field of rice stalks shinning like gold, rich taste fish ... you will be so excited like old people said, "autumn with the sky clear and blue, and horses growing stout". Bush clover is flower, which appeared the most often in Manyoshu. It used to be naturally grown everywhere so it was considered very close to our life. 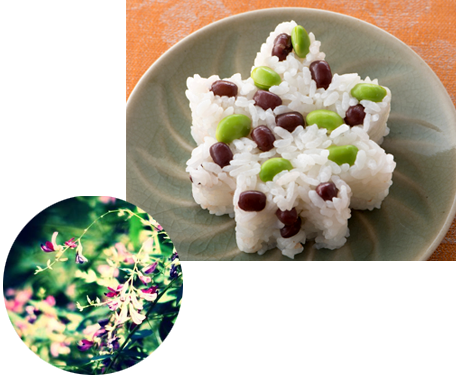 Because it contains "fall" in their main part of the kanji character of bush clover, and the time of the blossom is the time for crops, it was considered a symbol of fall and good harvest. 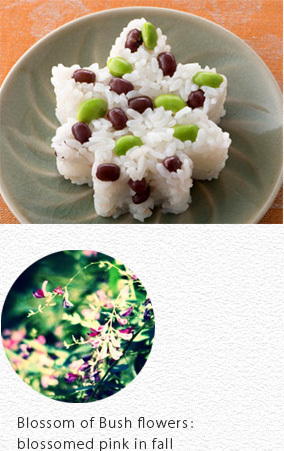 from Kombu seaweed with hint of salt, the bush clover rice is elegantly tasty. Chestnuts are cropped in fall in the world. 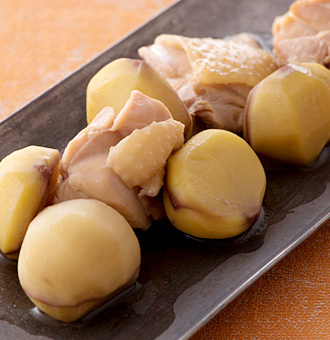 They are cooked as season's Ingredient in Asian countries like China and many of European countries. For example, European chestnuts are stickier than other chestnuts grown in other countries and taste perfect with gamy Gibier, which is European cuisine. Just like chestnuts, very cuisine is completed with different characters of each ingredient grown in different countries. 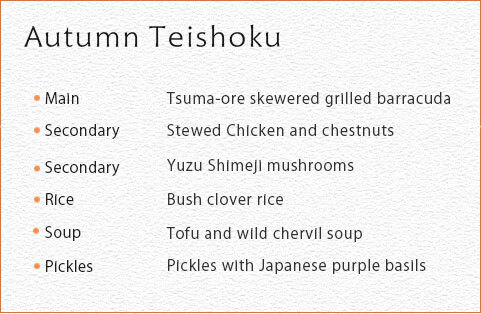 Generally speaking, Japanese chestnuts are usually big and tasty. 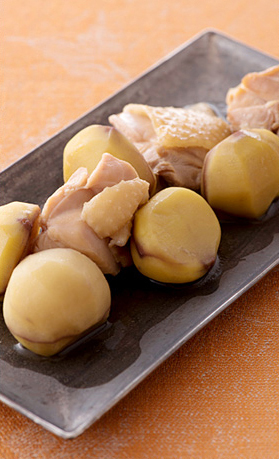 Fluffy texture and mild sweetness of chestnuts emphasizes umami of tasty chicken. The season of barracuda comes earlier in fall than that of saury. Barracuda is fatty but taste so mild. If they are small, they will be made dried. If they are big enough to be sliced in three, we grill them and squeezed sudachi citrus over them. 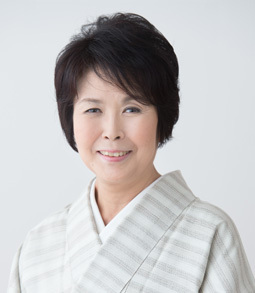 Both ends of hem of Kimono is called tsuma an ore means folding. 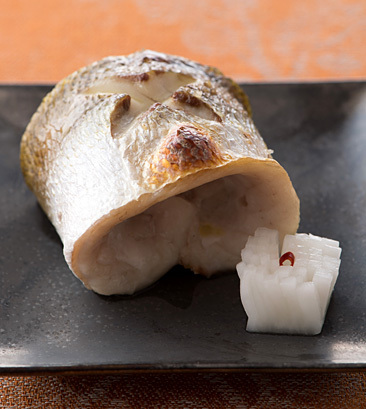 Tsuma-ore skewered grilled barracuda resembles this tsuma ore condition. It takes some special technique to grill fish perfectly in this way but tsuma-ore visually looks beautiful and lets guests feel treated special. 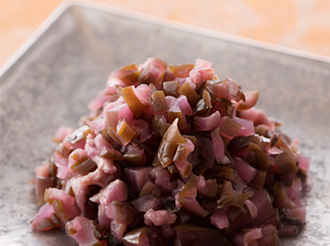 In the end of summer, seasonable vegetables and Japanese purple basil are pickled. 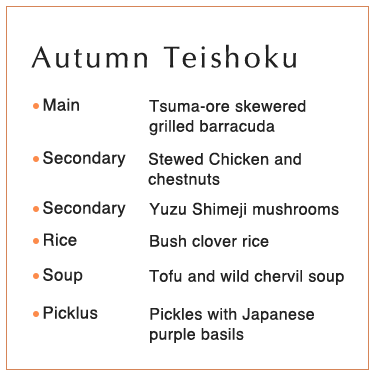 "Beginning", "Peak", and "Parting" are three different timings how to enjoy their different tastes, depending on how long they are pickled. 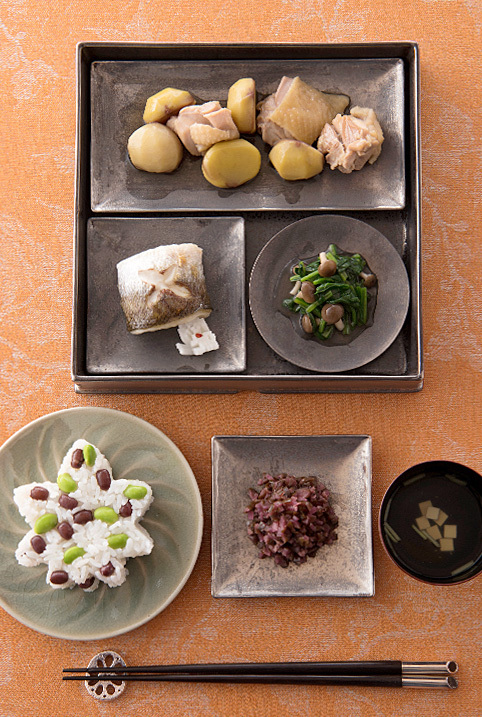 For Japanese cuisine, you can enjoy "Parting" of summer with it. Choyo no Sekku (Doubled Activiness Festival/ Chrysanthemum Festival) Chrysanthemum Festival, September 9th, is the last festival of the year among 5 national festivals assigned in Edo period. From the ancient time, odd numbers are considered active good luck numbers. 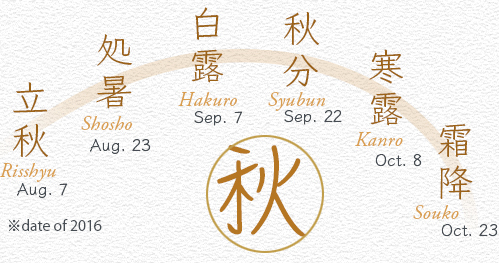 September 9th, "cho"/ doubled and "yo"/activeness, has been specially celebrated for perennial youth and long life and prosperity. Doubled Activeness Festival started to be called Chrysanthemum Festival from Heian Period. September 9th in the ancient calendar is the middle of October in the current calendar, and chrysanthemum imported from China beautifully bloomed in the period. The festival was also imported with chrysanthemum. Chrysanthemum was thought as a longevity herb from the ancient period. People were said to enjoy to drink sake with floating chrysanthemum pedals, and purify their body with wet towel of dew of chrysanthemum, pooled the night before. It's rare to eat chrysanthemum but why not on the day of Doubled Activeness Festival.